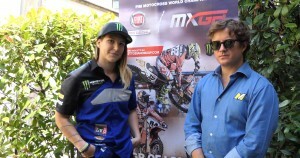 2018 Women Motocross World Championship stands out for several reasons. 1: WMX Series, now in it’s 14th season has gained credibility of world-class Women racers from the early years of NZ’s Katherine Prumm winning WMX Tiltes in 2006 and 2007, Stephanie Laier 2005, 2009-2011, Livia Lancelot 2008 and 2016, and Kiara Fontanesi 2012-2015 and 2017. 2018 WMX shifts gears again with NZ’s Courtney Duncan holding the Red Plate going into WMX Round 4 this weekend. 2: WMX Series 6 Rounds, running from April through to September stretches the Women MX racers limits to maintain peak-fitness, no mean task with gaps of 5 weeks and more between Rounds. 3: WMX Series sets precedent on Rider marketability to gain Factory/Brand support, sponsorship, product endorsements and financial backing through Women’s professionalism, committment to engage fans, responsibility to maintain reciprocal working relations with Team personal along with availibility for Media sessions. Not only do these Women Athletes take seriously PR as part of their racing career, they value the win-win association of Rider-endorsement-Brand/product to viewers as integral to maintain present and future financial support. This film edit highlights WMX 5x Champion Kiara Fontanesi speaking candidly on the development of WMX Series to the present along with what would be welcomed for the future growth of Women Motocross World Championship.